#1 recorded on Broadway, NYC on March 24, 1980. 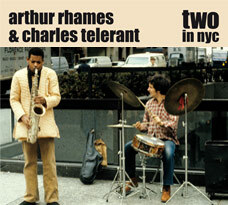 #2 recorded at 5th Ave. and 50th Street, NYC in 1981. #3-8 recorded at Soundscape, NYC on March 6, 1982. Cover photo by Jan Ström.